Russia just dropped a huge hint suggesting that it might be trying to assemble an Astana-like conference for resolving the Venezuelan Crisis in the same spirit as what it’s been trying to do with Syria over the past two years, which could present the most peaceful solution available even if this initiative ultimately results in “painful compromises” by the government if it succeeds. Although it can’t be known for certain at this point, all indications suggest that Russia might be ready to “pull a Syria” by assembling an Astana-like conference for resolving the Venezuelan Crisis. 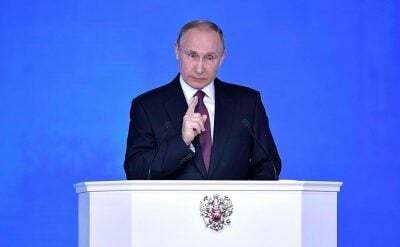 Russia is a firm proponent of international law and adamantly opposed to the US’ regime change plots anywhere across the world, but it has more than just altruistic motives of principle for wanting to ensure that the Venezuelan Crisis is peacefully resolved as soon as possible. The country invested $11 billionin the Bolivarian Republic over the years through various loans and energy, mineral, military, and infrastructure deals and just recently agreed to commit another $6 billion in early December. The very real prospect of potentially losing some or all of these assets following the possible seizure of power by US-backed Color Revolution forces in Venezuela terrifies Russia because it would result in a hefty financial hit its interests, though China would be even more adversely affected because of the whopping $50 billion that it loaned Caracas up until this point. Accordingly, it makes sense for both Eurasian Great Powers to pool their resources in trying to de-escalate this crisis as soon as possible. Self-declared wannabe “president” Juan Guaido understands the impressive leverage that his US-backed Color Revolution forces have over those two countries after hinting that Maduro isn’t “protecting their investments” from what can only be interpreted as the veiled threat that this Hybrid Warriors pose to their physical assets. Catching the drift, Russia and China might be compelled to “convince” Maduro to “compromise” with the “opposition” out of fear that their investments might be targeted by Guaido’s supporters during any forthcoming escalation of unrest in the country, with the Western Mainstream Media gleefully waiting to “report” that “the people are also rebelling against the regime’s backers” as they blow up pipelines, demolish mines, and attack the other property of those countries’ companies. Under this very realistic scenario, Russia and China would be powerless to protect their assets, and their on-the-ground partners in the Venezuelan Armed Forces charged with ensuring their security might have their hands full responding to more pressing regime change threats. Faced with the horrifying prospect of losing so many billions of dollars, Russia and China are incentivized to help Maduro and Guaido reach a “compromise solution” to the crisis, something that Moscow implied is its intention after Lavrov said after his above-cited comments in the same statement that “We are confident that creating conditions for the Venezuelan parties to make an agreement is the only possible goal.” This powerfully lends a degree of “legitimacy” to Guaido by implicitly recognizing the need for him and the authorities (“the Venezuelan parties”) to “make an agreement”, the outcome of which shouldn’t be “predetermined” in advance according to Lavrov in a subsequent remark but which could be predicted by context to refer to either a power-sharing arrangement or early elections despite Maduro ruling out the latter. Either way, it looks like the only option for Russia and China to avoid any harm to their assets in Venezuela is to get Maduro to “compromise” in one way or another and as soon as possible. This urgent motivation is probably what’s behind Russia’s efforts to streamline an Astana-like conference on Venezuela, though this peacemaking initiative could fall flat if neither the “opposition” nor its foreign backers agree to it. The US controls the so-called “Lima Group” and is ultimately the final decision maker on whether Russia’s effort will have a chance at succeeding or not. On the one hand, it might remain opposed to this because it either intends to throw Venezuela into civil war and/or wants to seize its rivals’ assets once its proxies come to power or have them destroy Russian and Chinese properly during the chaos. On the other hand, however, the US might be willing to “give peace a chance” if it thinks that it can use the “goodwill” that it might engender from both of its Eurasian Great Power rivals to get them to geopolitically and/or economically “compromise” on something else, as well as if it fears that oil prices might surge for a while to Moscow’s benefit. At the end of the day, it’s “more convenient” for the US’ proxies to “legitimately” take power in a “peaceful” way (even if it takes time through a Russian-brokered “phased leadership transition”) than in a controversial one such as a coup or after a prolonged civil war because it’ll allow American companies to most immediately profit from their government’s foreign policy “success” in its “backyard”. If Venezuela becomes the “next Syria”, it’ll take a lot of time and investment before the US “reaps the rewards”, which is why it might be willing to “allow” Russia and China to save some (but likely not all) of their investments on the condition that they “convince” Maduro to begin the process of transferring power to Guaido under whatever pretext they can come up with so that “everyone looks like they won” (ex: “this was the only way to keep the peace and prevent another Syrian scenario”). While some might frame the possibly forthcoming move to organize an Astana-like conference on Venezuela as a “sell-out”, it’s actually the only realistic and pragmatic option available to Russia under these very difficult circumstances. Moscow can’t stage a Syrian-like military intervention to support Caracas like it did Damascus 3,5 years ago even though it could commence a “humanitarian intervention” by dispatching food and other much-needed supplies to the country out of “Christian solidarity” (which might win it some points with regional right-wing forces). Just like Russia realized that the “success” of “Israel’s” “Yinon Plan” in Syria is “inevitable” to a certain degree and is therefore trying to “responsibly guide” this process as much as possible in the direction of its national interests, so too is it contemplating doing the same in the Balkans as well, so applying this approach to Venezuela would actually be following its latest trend instead of bucking it. It should always be remembered that Russia has no ideological solidarity with Venezuela’s socialist experiment like the USSR might have had if it still existed but is partnered with the South American state out of purely pragmatic reasons having to do with helping the Bolivarian Republic diversify its erstwhile strategic dependence on the US per former President Chavez’s multipolar vision. No one should be under any illusions of imagining that this is being done pro bono like the USSR would have done, since all of Russia’s investments (and especially loans) in the country are firstly made with financial motives in mind and only afterwards take on possible geostrategic dimensions. The same logic holds for China as well, which isn’t a criticism of either but just a reflection of objective fact. Therefore, both Eurasian Great Powers have more than enough reasons to do whatever needs to diplomatically be done to safeguard their tens of billions of dollars’ worth of investments. Russia’s 21st-century grand strategic vision of becoming the supreme “balancing” force in Afro-Eurasia can realistically be replicated in Latin America if it succeeds in bringing together a diverse set of countries to facilitate a “political solution” to the Venezuelan Crisis, one which would secure (at least some of) it and its Chinese partner’s enormous investments in the Bolivarian Republic while simultaneously raising its regional prestige. Such an Astana-like conference could symbolically be held in the Bolivian capital of La Paz (which means “the peace”) or in one of the small Caribbean island nations allied with Caracas through its Petrocaribe oil subsidization program, and could be complemented by a Russian-led “humanitarian intervention” that delivers much-needed food and supplies to Venezuela’s destitute population. If another Astana does indeed take place and results in Maduro “compromising”, then it wouldn’t be a “sell-out” but a strategic defense of Russian state interests that made the best out of a bad situation and prevented the Syrian scenario from repeating itself in South America.